Find out how easy it is to publish your book. Click here. What makes Paperclip Press distinct? Click here. What are our simple services and CSP? Click here. Check out our current titles. Click here. Check out our forthcoming titles. Click here. Read all the cool quotes. Click here. 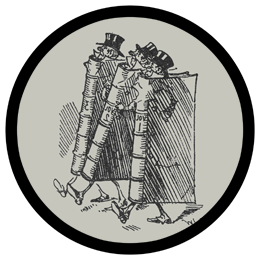 Read our useful self-publishing articles. Click here. At Paperclip Press we turn the whole game around. Our proposal will include all the costs to produce the book including administration, required legal efforts, design, print production, distribution, marketing, registration with various agencies and organizations. You will pay the up-front costs. We'll show you where you can save money by doing some of the work yourself. After your book is published we may assist you with month-to-month management including answering requests for information, ongoing marketing, and fulfillment of orders. This effort will be based on a fixed management fee or a percentage of sales. In this you will get your book published and have the potential of gaining greater rewards because you keep most of the profits. And finally, we will set up the key accounts in your name so everything can be transferred to you if you want to take over your project. 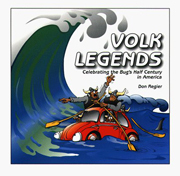 Paperclip Press started in 1998 with a little book published for a friend, Volk Legends, still available on Amazon (click here). We rarely used the imprint until this year with the publication of Officer's Oath. We wanted to publish commercial-quality books for authors with no other opportunity to get their work in print. At this point in our growth we can assist new authors or established authors who want to publish a boutique book. We can give your book a killer cover, design clean, readable layout, get it into print (both digital and traditional). We will also provide an anchor web page (or full website if required) and make sure your book can be readily found by buyers. If we feel your book has marketability to a full-service publisher, we will assist you in locating an appropriate organization. Ready to get published? It's easy. Check out our $999 program. ":) and ;] and :[ are not a subsitute for real emotion." Read all the quotes on one page.